For all the homie’s returning to work from the furlough! Back story: Park Triangle Productions created a show called “No Strings, Please” and it’s a very awesome show… follows the story of a young lady who moves from Brooklyn to DC. She cuts all ties with everyone, but the strings seem to always connect themselves to her. Through all of this she crochets to relieve stress… or does she. 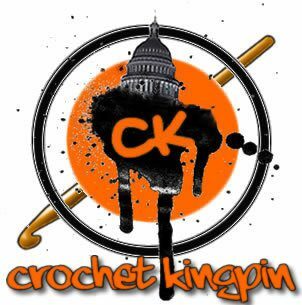 All of the crochet work you see in the show was done by none other than I, the Crochet Kingpin. So notice some of the work in the show. Previous postWatch the Poem (Droopy and Dwayne B) Live at Adams Morgan Day!